Those living in the UK and in Europe will understand when I say I was lucky to be able to escape London at that time as many flights were delayed or cancelled throughout Europe due to severe weather conditions… Unfortunately, many attendants were not as lucky and missed part of the meeting for this reason. 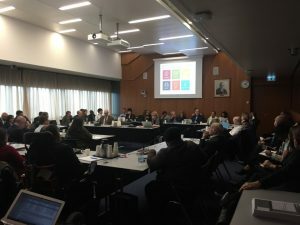 After more than 2 years of preparation, the WHO have launched the Global Dementia Observatory (GDO) to track worldwide impact and responses to dementia on the 8th of December. 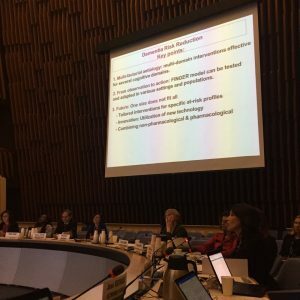 The following meeting brought together stakeholders from across the dementia landscape such as policymakers, academics, and people with dementia and their carers to discuss the implementation and monitoring of the Global Action Plan on the Public Response to Dementia 2017-2025 (adopted last May). As this was my very first participation to a WHO meeting, I must admit I was impressed when I stepped into the Executive Board room where the meeting started. Among the attendees (I am probably going to forget some institutions or organisations represented, but here is already a striking list): WHO regional offices (EURO, AMRO/PAHO and AFRO), World Dementia Council, European Union, OECD, Alzheimer’s Disease International, Alzheimer Europe, Alzheimer’s Society UK, Joint Program on Neurodegenerative Disease research (JPND), Global Alzheimer’s & Dementia Action Alliance (GADAA), and Ministries of Health or State institutions from about 40 different countries around the globe. Dr Shekhar Saxena (Director of the WHO Mental Health and Substance Abuse Department) and Dr Tarun Dua (Neurological disorders and Public Health, WHO) led the 2-day meeting, supported by an impressive and efficient GDO team. The GDO is a web-based data and knowledge exchange platform of key dementia information. The platform is unique and a huge source of information for all people interested in or working on dementia. National, regional and global data are supplemented by the latest epidemiological estimates and statistics from other sources. A framework and corresponding indicators have been pilot tested in 22 countries (low-, middle- and high- income) from all six WHO regions. The conceptual framework includes 3 strategic domains: policies, service delivery and, information and research. Therefore, a wide range of information can be accessed online through the GDO platform: from the existence of dementia standards / guidelines / protocols to the prevalence of smoking tobacco products among adults over 15, in a range of countries. Information may be available for a long list of countries where it is not ‘specific’ to the dementia field (such as risk factor prevalence) or limited to the 22 pilot-countries which contributed to the GDO for now. This platform will evolve and its content will be updated regularly (including data on indicators extended to more countries than the 22 pilot ones). This looks like such an amazing source of information and exchange that it deserves to be explored and promoted widely! Full details about its development and content can be found on the WHO website (link at the bottom of the page). During the first day, mostly dedicated to introductions, statements from countries and stakeholders gave a really varied insight of the context of dementia in some countries, whether they already have a dementia plan/strategy or not, challenges they encounter and what they expect from the Global Action Plan and the WHO. Just a few examples: we heard from the Universal Health Coverage already in place in Cuba, how primary health care is organised and supporting dementia diagnosis and care in Oman but also about the struggle of health systems in Jordan which is facing a sharp increase in the number of refugees (as the representative said, they had a population of 9 million previously having one of 6 million!). This was followed by a core presentation of the GDO by the WHO team, accompanied by presentations on the 7 cross-cutting thematic areas of the GDO. For each topic, academics or stakeholders presented some facts and figures. I was honoured to present with Martin Prince the numbers of people with dementia worldwide and on global epidemiology, the fruit of a long-lasting collaboration between King’s Collage London, Alzheimer’s Disease International and the WHO. Those presentations were followed by the information gathered from the GDO pilot-countries. For example, out of 21 countries, 6 reported to have standard, guidelines and protocols for risk reduction while 15 reported to have services / support for carers and 17 run dementia awareness and friendliness campaigns. The second day started with a session on national dementia plans, for which we were split in to smaller groups. Different aspects were discussed: dementia vs. Alzheimer plans, the integration of dementia in wider plans (such as a Neurodegenerative Diseases Plan in France), the importance of civil society (especially in low- and middle-income countries), the absence of jurisdiction which can be an obstacle in some countries. The take-away message from all of these talks is that there is no ‘one size fits all’ approach. The development of a national dementia plan, as many other things, must be consistent with the context of the country, its culture, and use as much as possible the support of the civil society and the WHO. The day carried on with specific sessions on ‘Awareness, friendliness, & risk reduction’, ‘Dementia diagnosis, treatment, care and carer support’ and ‘Dementia research and innovation’. I will only be able to report on research and innovation, the group I contributed to. 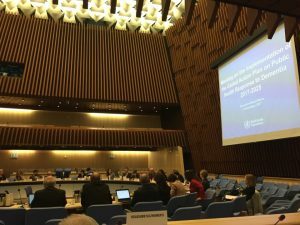 Closing meeting of the WHO meeting – input from all discussion groups. 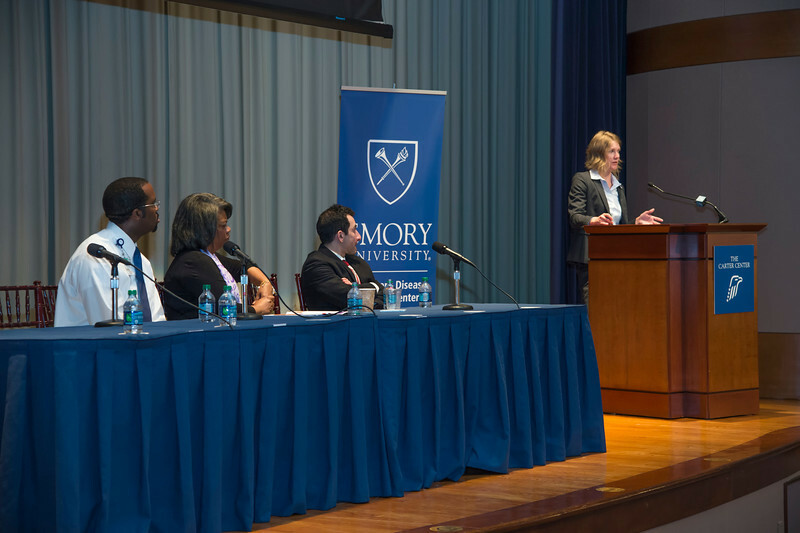 It started with a few general presentations from the World Dementia Council, JPND, the US Alzheimer’s Association before two projects were introduced: the new STRiDE project led by the London School of Economics, ADI and Dementia Alliance International, which will build research capacity and provide evidence on dementia care in 7 low- and middle-income countries; and the 10/66 Dementia Research Group, which has accumulated evidence from population-based research into dementia, non-communicable diseases and aging in low and middle income countries for the last 10-15 years. This was followed by a discussion on the barriers encountered (apart from the obvious one: funding!). Elements mentioned were from IT unmet needs and language, to governance and the strength of the liaison with local Ministries / WHO Regional Offices. The second day ended with a session common to all participants, used to feedback and discuss the points made in each group. Dr Tarun Dua presented the next steps for the GDO and the WHO Dementia team, before Dr Shekhar Saxena closed the meeting by quoting Bill Gates, one of the very new members in the fight against Alzheimer’s! Unfortunately, it would be too long to even try to summarise all the good ideas, facts and exchanges that occurred over those two days, but it was certainly a stimulating meeting for all the participants. On a personal side, it was quite intense but really enriching and rewarding. As a researcher, it is always nice to see the impact of some of your work at such a high level. It was also a very good opportunity to catch up with people from different backgrounds as well as making new contacts. I hope to see the GDO growing and achieving its goal, which is to provide reliable data and knowledge to the community and help the development of national plans on dementia worldwide. If I am aware of any further developments of the GDO, I will keep the WYLD community updated via Slack.